Tim Hynes took up his current role as CIO of AIB in September 2015. Prior to this, Tim spent over 25 years working in various roles, across multiple sectors and geographies, including Global lead for Microsoft's Site Infrastructure and then Head of IT (EMEA) for Microsoft. During his career, Tim has lead teams in more than 40 countries, including emerging markets in India, Brazil, and China and on the African continent. He has deep leadership experience in creating strategies and inspiring people of different cultures and backgrounds to work together to deliver successfully. In addition to his core skills, Tim has gained experience in brand marketing and operations roles at the international level. He was recently awarded a place on the Hot Topics ‘Global Top 100 CIOs’ list for 2017. 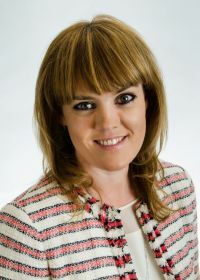 Niamh specialises in providing people and organisational change advice to clients across all industry sectors and is responsible for driving the growth of our People Advisory Services business in Ireland. Niamh is passionate about transformation and helping clients think about how they change their organisations with careful consideration of the impact on their people. Niamh has extensive experience with the public sector and is currently leading out a project with on a major health programme in Ireland. Before joining EY, Niamh was a management consultant in Ireland and the UK.